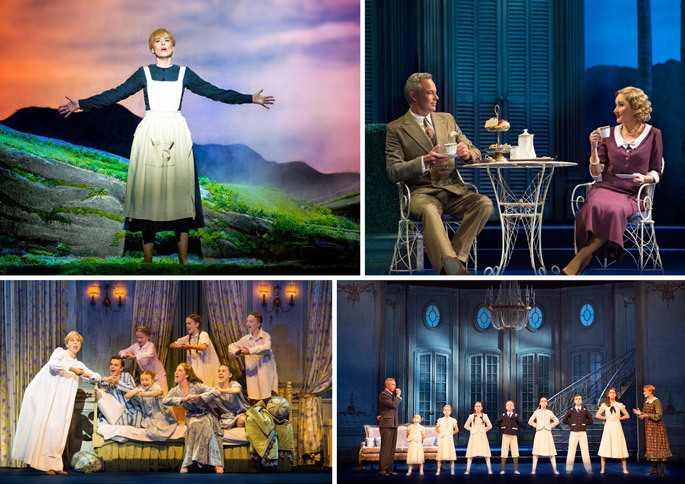 Are you a fan of The Sound of Music? I am from way back. I can recall my mother regaling me with tales of how she went to the pictures every summer holidays to see it while she was growing up – and that was her one special outing for the year so I can only imagine she enjoyed it immensely! When I was growing up it was an old and faded film, but no less magical and I loved watching it on TV whenever it came on. 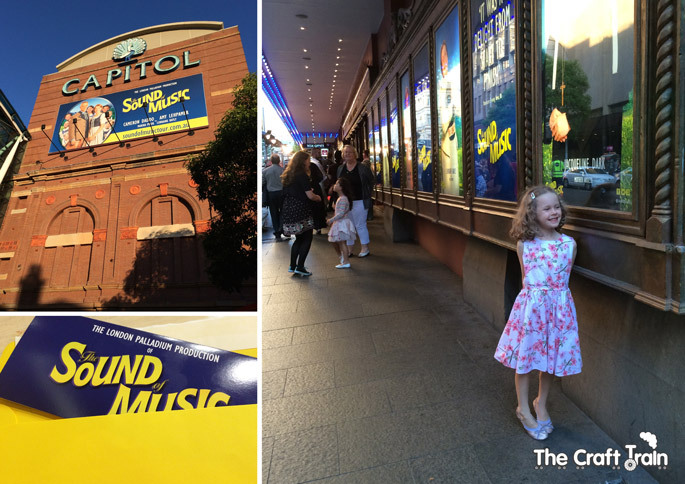 Even my kids have watched the original movie when it came on television recently and said they liked it, so I was pleased to be given a double VIP pass and the opportunity to review the musical now showing at the Capitol Theatre in Sydney. It’s one of those awesome perks of being a blogger! 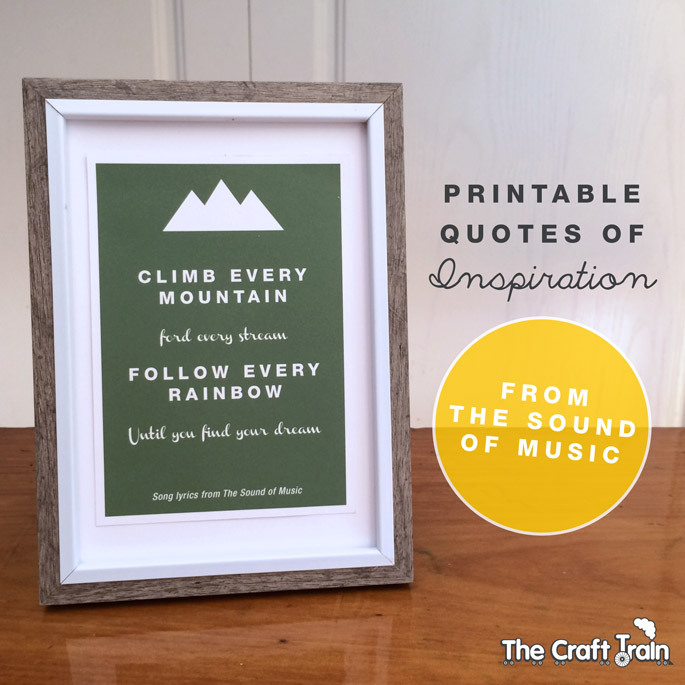 What I love about The Sound of Music is that there are so many positive and inspirational messages within the story line and music, and I’ve included some printable quotes from the show that make cute cards, fridge quotes or even framed quotes. It was actually hard to cull these quotes down to four because there are so many good ones! 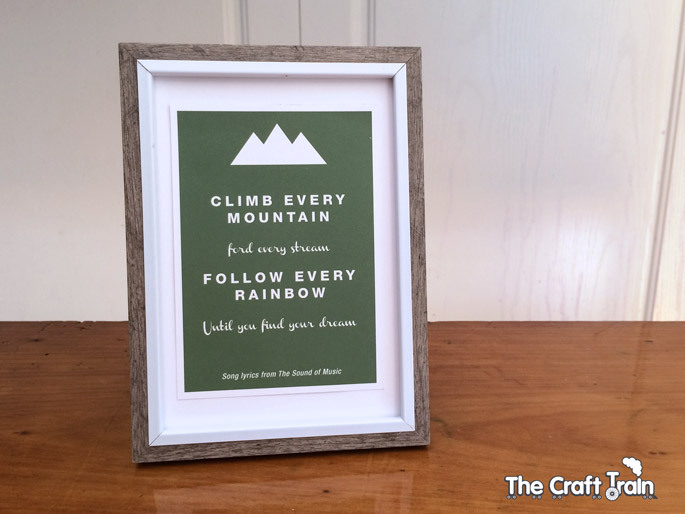 I have used an oversized 5 x 7″ frame in order to get the white border around my framed quote in the image above. 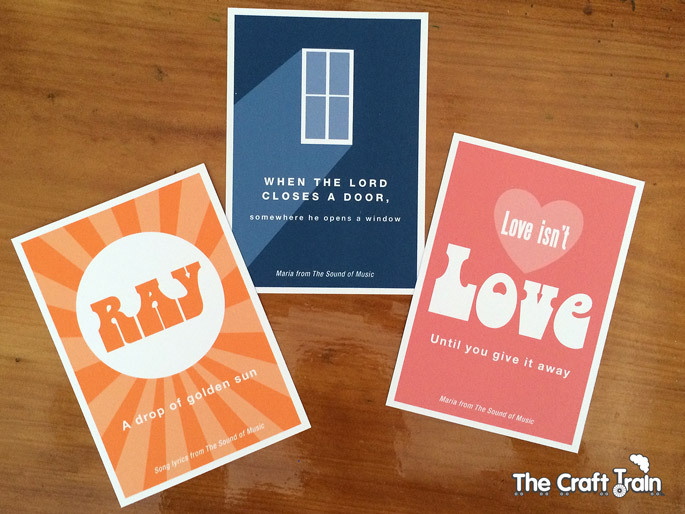 You can find the free printable pdf with all four quotes at the end of the post. Following its record-breaking run at the London Palladium, the world’s best-loved musical, The Sound of Music is now playing in Sydney and coming soon to Brisbane, Melbourne and Adelaide! This lavish and critically acclaimed production tells the uplifting true story of the von Trapp family’s flight across the mountains and works its magic, for young and old alike. Returning to the stage in the role of Captain von Trapp is the multi-talented Cameron Daddo. Starring alongside Cameron are many of Australia’s favourite stage performers; Marina Prior in the role of the Baroness Schraeder, Lorraine Bayly as Frau Schmidt, Jacqui Dark as Mother Abbess, and joining them in the coveted role of Maria is one of Australia’s newest and most outstanding award-winning musical theatre stars, Amy Lehpamer. With its unforgettable score, Rodgers and Hammerstein’s The Sound of Music touches the hearts of all ages and brims over with some of the most memorable songs ever performed on the musical stage including My Favorite Things, Do-Re-Mi, Climb Ev’ry Mountain, The Lonely Goatherd, Sixteen Going on Seventeen, and of course the glorious title song The Sound of Music. It’s the perfect family treat! Having a double pass meant that I could only take one child to see the show, and since it was quite a late night and Miss K is a little night owl I decided to take her along for a special mummy-daughter night out. It was so much fun for both of us! Coming from the Blue Mountains into the city is an exciting excursion for my kids, so we decided to arrive early and enjoy the city experience a bit before the show started at 8:00pm. We parked at The Star Casino and walked over from there, which probably sounds crazy but it suited us because the parking is so easy there and we got to sight-see our way over to the Capitol. 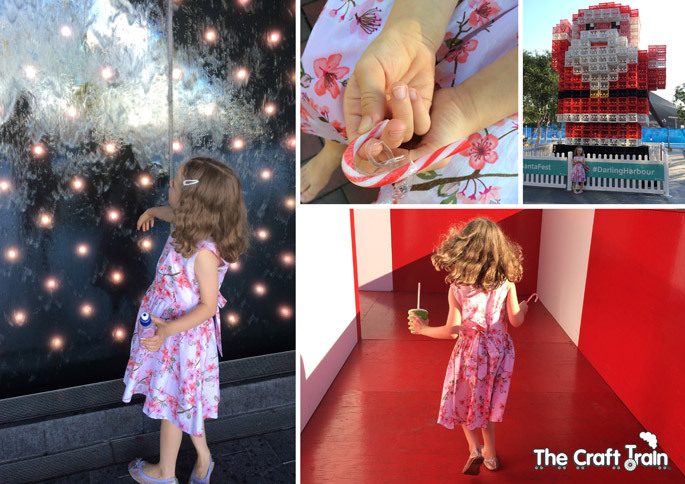 As a bonus Darling Harbour has put on a pretty cool Santafest and we went on a big ferris wheel, ran through a giant maze, posed in front of a mammoth Santa built from milk crates and then hit the water-play area. 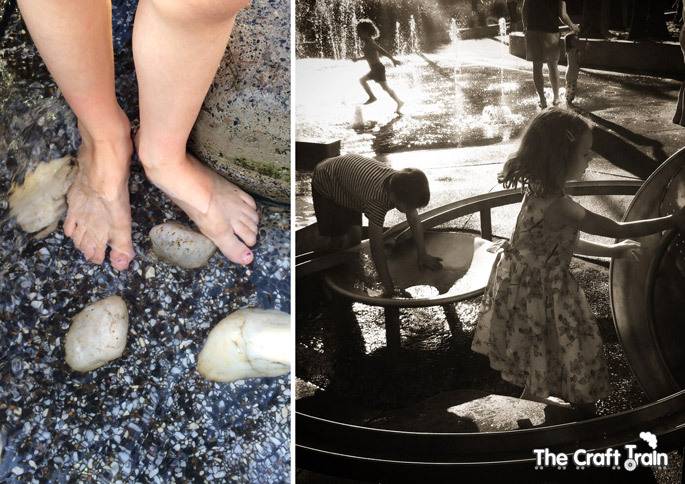 Who says you can’t enjoy a splash just because your’e all dressed for the theatre? The Capitol is right in amongst Chinatown so if you want to have a nice meal beforehand there is lots of tasty and authentic asian food to be found – something that’s a bit lacking in the Blue Mountains so it was a real treat for us. We opted for some steamed spicy chicken buns from a little Thai bakery (Miss K’s choice) and they tasted so good we had to buy a second one each. did we enjoy the show? We loved it! Cameron Daddo made a dashing Captain von Trapp, Amy Lehpamer did a fabulous job as Maria and the children were adorable. I have to say that the highlight was the show-stopping performance of ‘Climb every Mountain’ by the Mother Abbess right before the intermission – it brought the house down and Miss K said to me when the lights came on “Mum, why was the whole room shaking just then?”. Honestly, I could watch the whole thing again tomorrow! Miss K is only six so it was a very late night for her but she managed to stay wide awake and enjoy it, although I have a feeling that a choc-top ice cream during the intermission may have given her that extra boost of energy she needed for the second half. It was very easy to get back to The Star Casino and to our awaiting car via the Light Rail which arrived just as we got to the tram stop. All in all we had a lovely mother-daughter night out! It may be old-fashioned, but even in this day and age I think we can all do with some words of wisdom from Maria and the Mother Abbess. 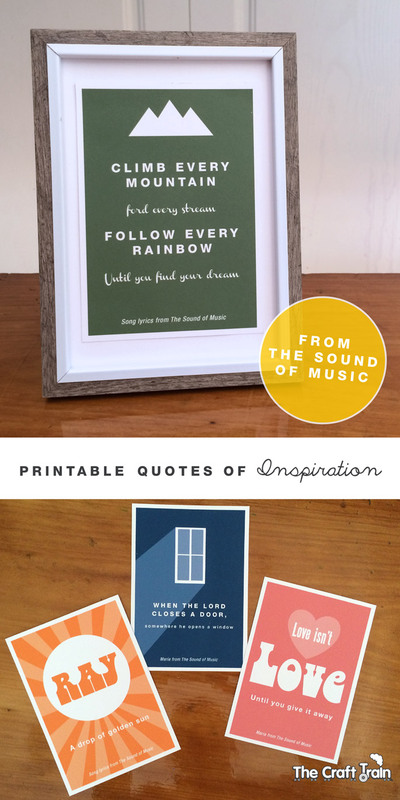 Here are the printable versions of the four inspiring quotes I loved most of all from the show. Which one is your favourite? Print your copy out here. For lots more fun, free printables visit our printables board on Pinterest. Are you following us? I saw a production of The Sound of Musical about ten years ago and it was magical! What a lovely mother daughter evening for you. I might just have to go again. Love the quotes! Thanks for the printable too. I adore the Sound of Music. Thanks for the printable. What GORGEOUS printables!! And I LOVE Sound of Music. You chose awesome quotes, they would be adorable cards. The Sound of Music is my favourite! Oh wow! Looking this up now… LOVE The Sound of Music!! !